It’s the celebration of harvest season in the valley. We’re having parades and festivals to mark the bounty that the Lord has bestowed on us. 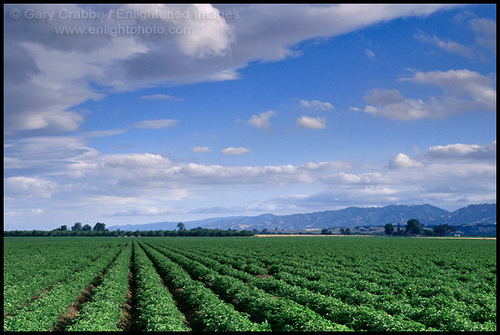 The cotton fields are completely white with cotton that will be have to be harvested shortly, the packing sheds are winding down the packaging and processing of tomatoes, and everyone’s personal garden is exploding with growth. It’s a happy time in the valley of California, a prosperous time, a time when the children go back to school and the world just seems to ease into the new season where the weather cools down. Everyone in this season complains about the abundance of trucks on our two lane roads that slow the traffic down as food is moved out of this corridor and distributed to feed the world. It is like this every single year, you can count on it. With the water shortage, it does cut down on the crops and the activity but the overall picture of farming remains the same. In the natural realm there is no mistaking this season. It’s harvest time. And then a thought came to me, what happens in the supernatural realm? Do we recognize the seasons there as well? 2 Samuel 11:1 It happened in the spring of the year, at the time when kings go out to battle, that David sent Joab and his servants with him, and all Israel; and they destroyed the people of Ammon and besieged Rabbah. But David remained at Jerusalem. David was a king who wasn’t in season and the story goes on to show us that when we ignore or mistake seasons in our life all hell breaks loose. Perhaps David got complacent, as we sometimes do, and decided not to worry about going off to war with his men. Perhaps having known victory he may not have thought it important. Maybe he was crispy fried with the demands of work and decided to sit this one out on purpose. Whatever the case, we catch a glimpse of what can happen when we mistake a season in our life. How can we learn from this powerful story of the seduction of self gratification at a time when the season dictates self sacrifice? What if here in the valley the farmers decided not to seed the fields? We would then be missing our harvest season and the result of that would be a food shortage. Seasons are important in our life. Just ask the mom who has come to the end of her six week maternity leave and realizes she doesn’t want to leave her baby with a sitter. Just ask the bride who is anxiously preparing and awaiting her wedding day. Just ask the parents of first year college students about the emptiness of their nest in the first few weeks. While these are obvious seasons that are readily recognized as transitional times in our lives, what about those that we may not see clearly or lacked clear understanding of? The missed opportunities to sow into a barren field because we ate the seed. The unexpected opportunity to travel but our credit card has limited out and our savings account is dry. The mother who lives in perpetual guilt because she sowed into her career and now her children are floundering. The father who was never around but now desires a sustained relationship with his family. What about just being apathetic to the things you are called to do in this season? It is time to look up from the tyranny of the urgent and make sure you are not missing the important. It’s time to step outside your bubble and gauge the season. For each of us it will be different, but nevertheless critically important that we are where we are supposed to be in this season. If you aren’t sure what season you are in, do a word search on season in the bible. You’ll see that God has a lot to say about it!